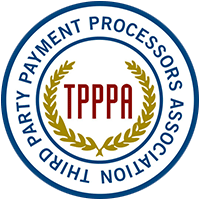 The Third Party Payment Processors Association (TPPPA), a national not-for-profit industry association representing the interests of their bank and payment processor members through the development of industry best practices, is partnering with G2 Web Services, a leading provider of Know-Your-Customer (KYC) services for banks and third party payment processors (TPPPs). We are proud to partner with G2 as their KYC Solutions compliment the TPPPA CMS, which is designed to help members comply with state and federal laws, rules and regulations related to payment processing and focuses heavily on Knowing Your Customer. The partnership enables TPPPA members to improve their regulatory compliance and reduce fraud. G2 KYC Solutions help banks and payment processors develop a risk-based approach to managing their business customers, while improving best practices in BSA/AML compliance. G2 complements existing KYC and Customer Due Diligence (CDD) services, as well as the TPPPA’s Compliance Management System (CMS), the industry's best practices developed by the TPPPA. “We are proud to partner with G2 as their KYC Solutions compliment the TPPPA CMS, which is designed to help members comply with state and federal laws, rules and regulations related to payment processing and focuses heavily on Knowing Your Customer, and ongoing monitoring,” said Marsha Jones, president of the TPPPA. Banks, payment processors and their partners use G2 KYC Solutions to perform better due diligence and monitoring of business customers so they can grow their portfolios, launch new services and manage changing regulations while taking on acceptable risk. The TPPPA will be hosting a joint webinar with G2 Web Services, featuring special guest Connie Mosier, co-president of InterceptEFT, on Tuesday, May 17 at 11:00 AM PDT titled “Beating the Bad Guys by Knowing Your Customer: What Payroll and Payment Processors and the Banks that Serve Them Need to Know.” Click here for more information or to register. Third Party Payment Processors Assc.